According to new research by Transwestern, there were just over 20 million square feet of industrial projects underway across the Chicago MSA. Nearly one quarter of that activity was in Kenosha County. Southeast Wisconsin had 4,958,589 square feet of product under construction in Q4 2018, just ahead of the 4,664,712 square feet going up in the I-55/I-80 SW Corridors. That submarket, however, has been a behemoth for new industrial projects this cycle and currently has seven times the inventory of Kenosha County in terms of square footage. 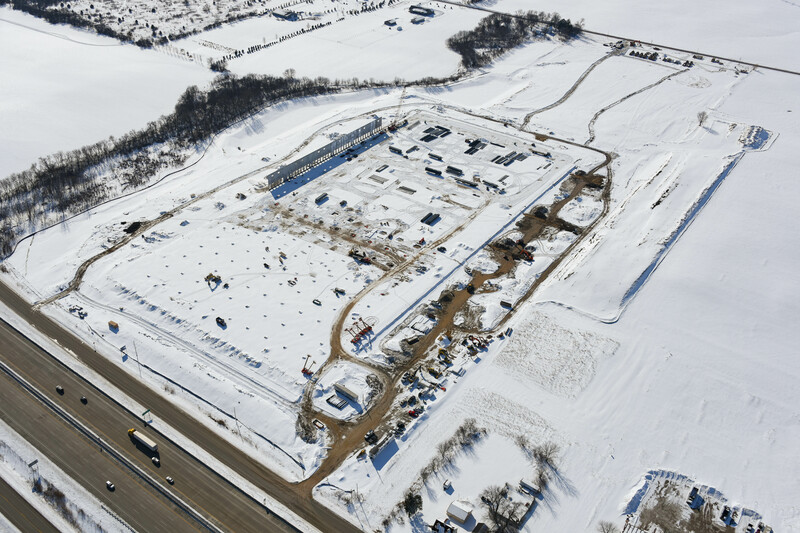 Example projects include Ashley Capital’s 438,000-square-foot, cross-dock industrial building currently under construction on spec in Sturtevant, Wisconsin. Scheduled for a late 2019 delivery, this is the second building—of four planned—to be built at Enterprise Business Park after completion of a slightly smaller structure that is now leased to four tenants. Late last year, Land and Lakes Development also completed a speculative industrial facility. The 307,850-square-foot building in Mount Pleasant, Wisconsin boasts a 32-foot clear height and 40 loading docks, four drive-in doors and plenty of car and trailer parking. In Q4 2018, according to Transwestern, the total net absorption market-wide for industrial properties reached over 4.7 million square feet. Building on the back of the previous quarter’s 6.4 million square feet of positive absorption, the year rounded out with over 15.68 million square feet positively absorbed in Chicagoland. This marks the highest collective positive activity in Chicago since 2012. Quarterly net absorption in Kenosha County, however was negative 445,365 square feet while the year-to-date absorption was slightly improved at negative 51,493 square feet. The vacancy rate in the area was 5.7 percent last quarter, which is in step with the 5.6 percent of the total metro area—which just happens to be the lowest level in Chicago history. Read more at RE Journals.com.